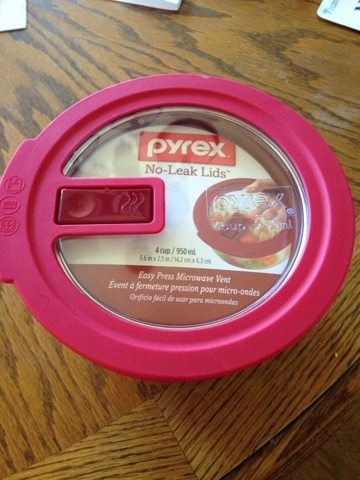 InterLocking Loops Podcast: What Is It About Pyrex? What Is It About Pyrex? As most of you know, my oldest child went off to college this fall and we are all "growing" in this experience. This post shares another milestone- one I did not expect. My son comes home for a visit from college and I am eager to prepare him for whatever may come his way and I ask, "Do you need anything for school?" He mentions that the entire can of soup (that I have stocked his shelves with) does not all fit in one bowl and he would like bowls that he could use and not wash. I mention that he has dish washing liquid, the proper dish cloth and that washing is easy. Well we settled on a pyrex bowl. I stood staring at the shelf of pyrex containers trying to make a decision. I think the Target store employee thought I was a little crazy to require so much time to the task. It made me a little misty to think this bowl may last him a long while. I still have a mug that I bought during my college years to microwave my oatmeal on my cupboard. My mug has lasted a long time 20 plus years at this point. Pyrex containers have been a staple in my parents house and in mine and now I will be passing along the tradition. The above picture is the chosen bowl. It holds about a quart and will work well in the dorm microwave. What is it about Pyrex?